"Texas’s largest and greatest Haunted Attraction"
The Boneyard Haunted House, Texas’s largest and greatest haunted attraction, squeaked its doors open for an all new Hallows Eve season. Running a total of 24 nights, the creators of The Boneyard have developed all new and unique designs and scares to experience fear at its best. 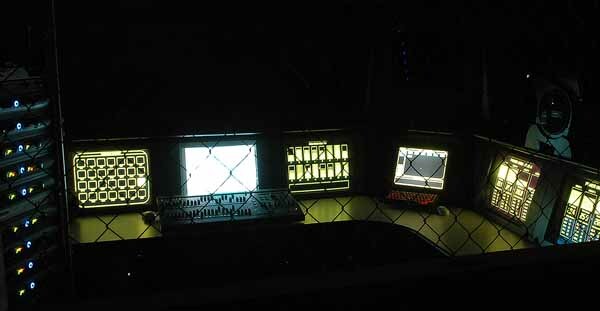 Featuring digital surround sound audio with computerized theatrical show lighting, those who dare to enter will experience a new dimension of terror. With over 20 years of combined haunting experience, The Boneyard’s design team is highly distinguished for their prestigious and thrilling attractions. Unlike most haunted attractions, The Boneyard makes each of their scares memorable and original by not letting patrons orient themselves inside the haunt. Each year, the haunt is completely taken down and the team starts fresh building exclusive rooms and new props. Unlike many haunted attractions, The Boneyard ticket sales benefit local non-profit groups and offers so much more than a walk-thru attraction, including a stage for live bands, a VooDoo Lounge serving food and beverages and a large game room with pool tables, air hockey and classic arcade games.